Just thought I’d send a quick email, I left for work this morning and when I got back, the words which left my mouth were WOW they’ve been done the work and gone. I need to say from start to finish you guys have instilled confidence in me but now I’m full to bursting ! rarely do you come across a company which, sounds good, explains everything before hand, very easy to communicate with and do exactly what they say. The only downside is the guys left before I was home so I didn’t get the opportunity to thank them personally. Oh by the way I need to pay also, if you can send me the bank account details I can nip down to bank and transfer this over for you. Arrived on time, cleaned up afterwards clearly very experienced – very happy! Thanks. We were grateful for the care and expertise of your team. Hopefully you have by now found that electronic payment for your work has been made. Having signed & made comment on the form presented to me I feel that further comment is needed. The finished work looks good & hopefully time will show that we have made a wise decision. Your staff were courteous, prompt & cleaned up after themselves. Our only question is why didn’t we have it done years ago???!!! And so now the laborious task of putting everything back into the loft has begun. Although this has done us a favour, as we had far too much junk. Anyway, thanks very much, good job well done. Staff were cheery, helpful and efficient – very professional. Excellent work in difficult conditions, many thanks. 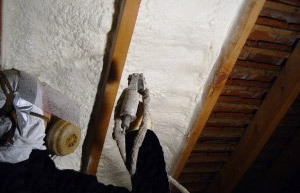 Very thorough job, carried out by your friendly team. Guys were helpful and friendly. Well recommended, Thanks. Pleasure to have the two guys, Thanks a lot. Very happy with work carried out! Job done very quickly and efficiently – nice crew! Your chaps have done a great job! Hard workers and very skillful and helpful. No hesitation in recommending your company to anyone! Excellent job, clean and tidy at completion. Courteous staff and very helpful! Nice lads, need a pay rise! Work was carried out to a very satisfactory standard. The workmen were great and very considerate. Many thanks. The work carried out to my complete satisfaction. I was very pleased with the way they carried out the work. 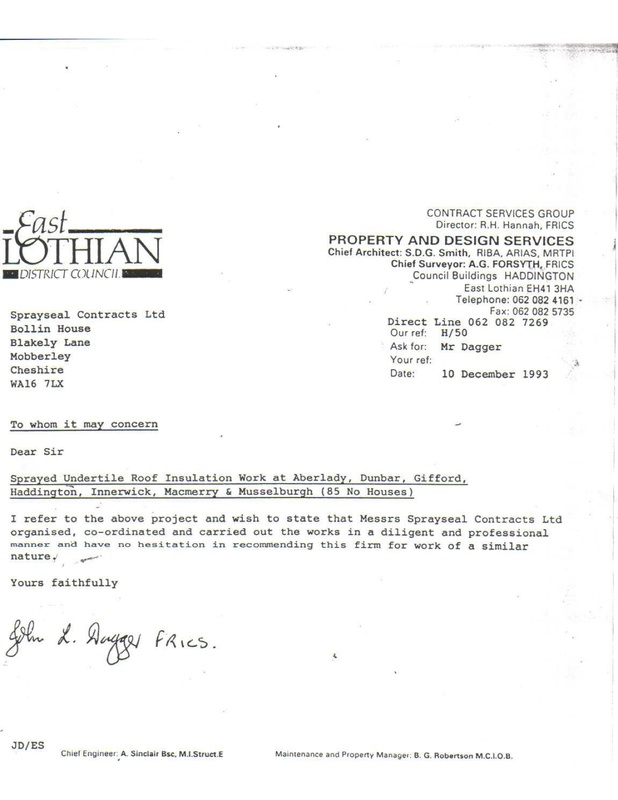 Here is a testimonial from East Lothian District Council. We renovated and insulated over 85 council owned houses in 1993. 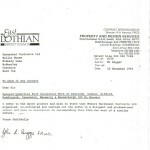 Dear Sir, you installed a Sprayseal system in our roof in May 2011. We have deliberately waited untill we had a bit of much colder weather, because it always seemed as if our upstairs bedroom of our bungalow was warmer than before, and we thought it might just be the higher temperature this autumn. Well it is not that. It is the excellence of your product. What you chap said on the stand at the Earls Court Exhibition was exactly right. 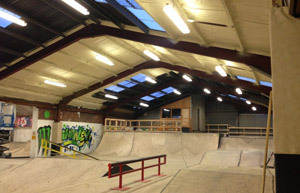 Our inside roof space is much warmer – and also much cooler in the summer – Thank you very much. Thanks vey much good job done. An excellent job – well done. Very impressed with the work team who were prompt and explained what they would be doing. The work was carried out efficiently and with every consideration to the household. When we purchased our property the surveyor’s report identified nail fatigue and that a conventional re-roof would be required. This would have been a costly and disruptive method. Thankfully we found Sprayseal and they offered us a cost effective alternative, and we would recommend them to anyone. I would like to take this opportunity to state how satisfied we have been with the excellent service provided throughout by Sprayseal Ltd, from the professional way in which the initial survey and quotation was undertaken, and then on through the planning stage with the continual progress calls and helpful advice. But above all, we have been thoroughly impressed by the roofers themselves. Never have we encountered workman who have been as dedicated, concientious, and friendly. They have worked extremely long hours, usually from 8.30 am to 7.30 pm with minimal breaks, even in bad weather. And on the last day, they gave up their Saturday to complete the job, and worked from 6.30 am right through until about 9.00pm, long after it had become dark, and long after they had planned to leave in order to travel all that way to get home. Even many of our neighbours have noted and commented on the efforts that they put in while doing the work. Excellent job, completed efficiently, cleanly and with good humour by your outstanding team. Thank you so much.